Feminist blogger Bella Rapoport has caused quite a stir in the Russian blogosphere after asking the cosmetics company to give her free products in return for reviews on Instagram. “Hi! I’m a bloggeress,” Rapoport wrote on March 20. “I’d like to be given some cosmetics to review on my Instagram Stories.” Unfortunately for Rapoport, the people at Lush politely refused her proposal. Taken aback, she posted on her Instagram that she feels hard done by because big brands refuse to give her free stuff to review. Hi Apple! I’d like to receive a MacBook Pro, an iPhone XR 512 GB, an Apple Watch Series 4, some AirPods, and not review them anywhere! — анатолий ноготочки💅 (@A_Kapustin) 20 марта 2019 г. Meanwhile, after just two days the Twitter craze has morphed into a serious debate about feminism. Lush says its answer to Rapoport was nothing out of the ordinary. “A lot of people write to us. As a rule, people provide more information about themselves. Here, we had a very short request and replied with a standard answer. I don’t think we did anything wrong,” Varvara Afanasyeva, Lush Russia’s brand manager, commented. 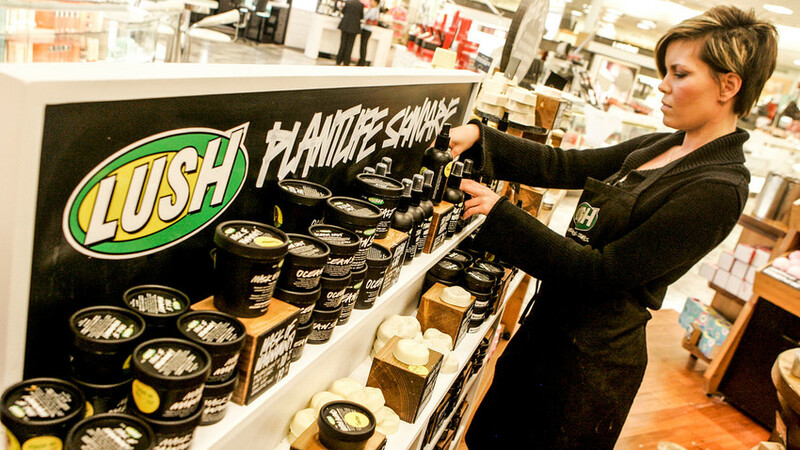 Lush is standing its ground. “It doesn’t matter if we cooperate with this person or not, we’re definitely taking her side because Lush stands for peace, love, and tolerance. We can have different points of view and respect each other at the same time,” a company statement reads. “Lush is very sorry for Bella because of the bullying she’s experienced. We are contemplating giving away some free cosmetics to Bella, but we’re yet to decide,” Lush added. What do you think? Does refusing to give away free stuff to feminists undermine their cause? Let us know in the comments.